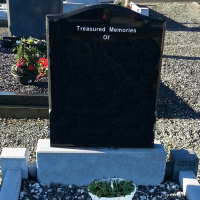 The 'OG' is a timeless memorial that can be skilfully crafted to a size and finish as requested. Please see pictures for a number of options available. Please contact us for further information. 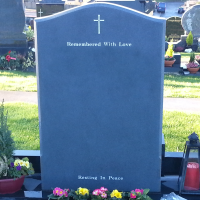 All of our headstone designs can be made to a honed finish. This is Granite in it's natural, unpolished state. Please see the pictures of a number of honed designs. 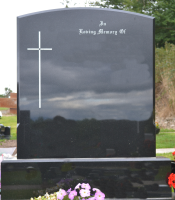 Round Topped memorials can be made to any size or finish. Please contact us for further information.